Up to 40% of American women 35 and older have uterine fibroids. 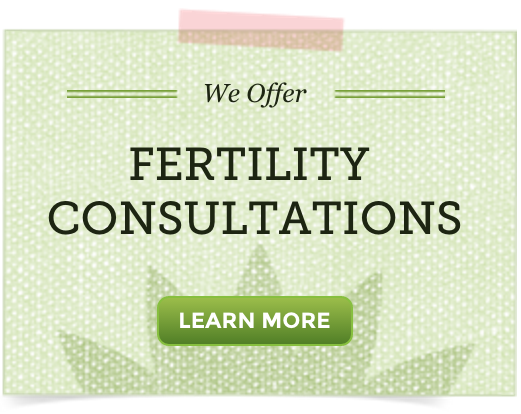 Uterine fibroids are extremely common. In fact, hundreds of thousands of American women have hysterectomies every year because of complications caused by fibroids. But did you know that research shows that only 10% of hysterectomies are medically necessary? Having a hysterectomy is major surgery, sometimes requiring a month or more of recovery time. In addition, a complete hysterectomy induces premature menopause with symptoms like hot flashes, weight gain, and mood swings. 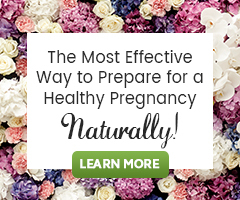 In many cases, natural therapies can be explored as an alternative in order to help the uterine area normalize naturally. This article is going to discuss the top ways to improve uterine health for women with fibroids. It explores gentle dietary approaches and whole herbs, which you can discuss with your holistic physician or natural health practitioner. Uterine fibroids are growths between the size of a walnut and orange that appear on, or within the uterine walls. Most fibroids are not cancerous, and, according to some estimates, have less than 1/2 of 1% chance of becoming cancerous before menopause. In fact, most fibroids go away after menopause. Further, uterine health can be supported by making simple dietary changes including specific whole herb formulas. Follow a low fat, vegetarian diet. Italian research reported in Obstetrics and Gynecology shows while eating red meat doubles the risk of developing uterine fibroids, eating plenty of vegetables cuts fibroid risk in half. Eating a plant-based diet can relieve symptoms by reducing inflammation and enhancing metabolism. Reduce caffeine intake. Caffeine can aggravate fibroids by increasing estrogen production. (Estrogen receptors are higher in fibroid tissue.) Research reported in the journal Fertility and Sterility shows women who consume 500 milligrams of caffeine daily, the equivalent of 4-5 cups of coffee, produce 70% more estrogen in the follicular phase of the menstrual cycle than women who consume less than 1 cup of coffee. Some women report they can drink green or white tea without ill effect. A short cleanse can really help. A 24-hour vegetable juice diet helps clean out acid waste and reduces body congestion. There are many good cleanses to try. I like the 24-hour cleanse in Linda Page’s bestselling book, Healthy Healing 14th Edition: A Guide to Self-Healing For Everyone. Eat cruciferous veggies like broccoli, cauliflower, cabbage, and brussels sprouts 3-4 times a week. Indole 3 carbinol in these vegetables improves estrogen metabolism and the body’s ability to eliminate excess estrogen. More fiber in your diet is a natural estrogen balancer. Studies have shown that women on a high-fiber diet have lower levels of circulating estrogen. Having an apple or pear every day keeps your system free flowing. Fibro Defense caps can help your body rebalance, naturally. Pau d’Arco (Tabebuia heptaphylla): a powerful antibacterial herb to help promote healthy uterine tissue. Black Cohosh (Actaea racemosa): helps relax the uterus and support a healthy menstrual cycle. Early Chinese research demonstrates a reduction in the size of fibroids with black cohosh use. Dandelion (Taraxacum off. ): supports healthy liver detoxification and hormone metabolism. Dandelion has a mild diuretic action to reduce bloating and abdominal congestion. Fibro Defense can be taken for up to 4 months. Rest one month before resuming the formula if desired. Natural therapies can help bring your body back to balance if you’re dealing with uterine fibroids. Medical approaches may be necessary for some women, but even in these cases, gentle natural therapies can guide a woman’s body to faster recovery. Katz, V.,(2007) Comprehensive Gynecology, Fifth Edition, Mosby Elsevier.